Meetings, faith-sharing, prayer, fun, fellowship, retreats, outings, and youth conferences offer young people abundant opportunities to form strong Christian friendships and remain close to the Lord. RHYM stands for Rush Henrietta Youth Ministry. 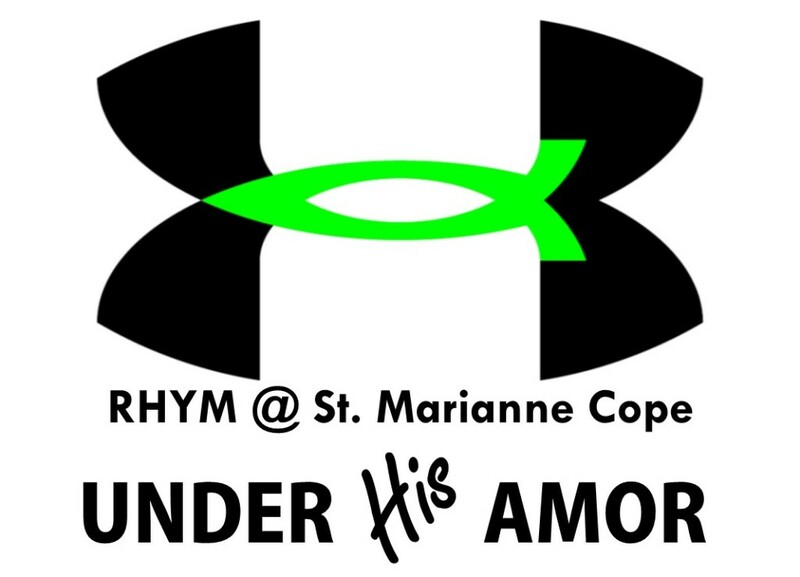 It is the comprehensive youth ministry program for the parish of St. Marianne Cope. Comprehensive youth ministry refers to a framework around which opportunities can occur for young people to know, live and share their faith. Comprehensive youth ministry means that there is not just a “youth group” but groups of youth who participate in the life of the faith community in a way or ways that honor their individual and communal needs. 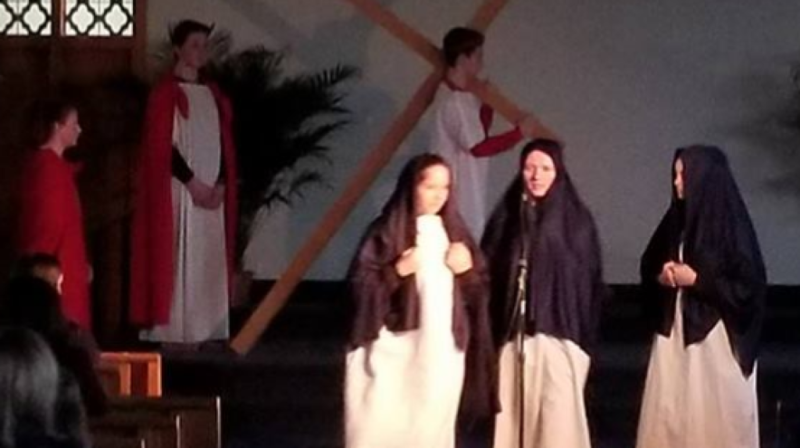 The goal of the mission of youth ministry at St. Marianne Cope (RHYM) is to help young people to know, live, and share their faith in ways that are relevant and to celebrate the uniqueness of each individual. 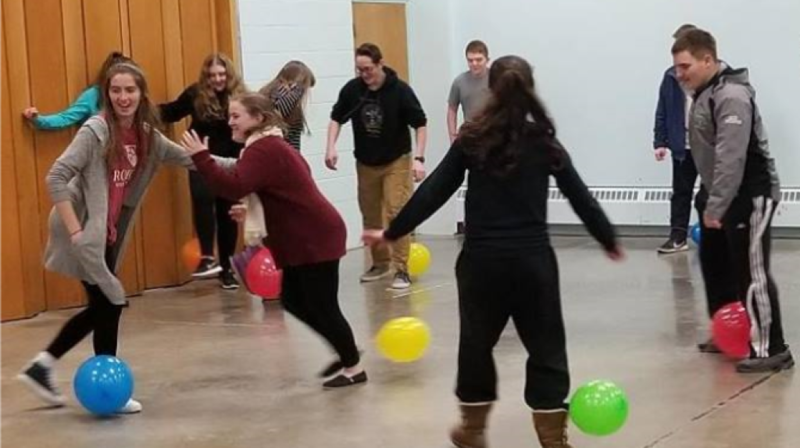 These are the groups that would traditionally be considered the “youth group.” The Jr. group (grades 6–8) meets on Tuesday evenings and the Sr. group (grades 9–12) meets on Sunday evenings. Both groups meet from 7–8:30pm. Through these groups, young people have the opportunity to know, live, and share their faith. Meetings use a small team faith sharing approach to learning and sharing faith. In addition to meetings, many social and liturgical events are planned for this group throughout the year. Youth in grades 6 to l2 who are not able to attend Jr. or Sr. RHYM meetings are encouraged to sign up for Family Based Home Study. The Youth Minister will meet with family-based home-study youth in September to introduce the materials and curriculum for the school year. Young people then work through their book at their own pace. Young people who enroll in the Family Based Home Study program sign up with their family to participate in at least one RHYM Family-Cares Days (service project) and at least one RHYM Family Mass. They are also encouraged to participate in the social, service, liturgical, and faith-building activities that are outlined in monthly RHYM newsletters. While a great foundation to accomplishing the RHYM mission is provided through youth group (Jr. and Sr. RHYM), we like to encourage young people to go beyond youth group and home study to ignite their faith and the faith of others by participating in a variety of ministries. This group is for young people who are interested in evangelism and discipleship, and have a desire to “go deeper with their faith.” These groups are formed as interest is expressed; they can be held at any time that is convenient for the group. Disciples Leadership Group (grades 7 to 12): This group is for young people who are interested in becoming leaders in RHYM and their community. Members will develop leadership skills, serve as peer leaders and help to plan RHYM activities and meetings. Leadership and Service Council (grades 9 to 12): Council members continue to develop leadership skills and serve as peer leaders, organize and participate in service projects (including a summer mission trip for older members), and serve as the youth advisory group to the youth minister and pastoral council. Members of the council are encouraged to serve as Jr. RHYM team leaders. Leadership and Service Council Members may be nominated for the council after completing an active year of RHYM and fulfilling all RHYM commitments. In addition to attendance at the Council meetings and retreat/training days, council members must have the desire to serve and seek justice as well as a commitment to the RHYM program, the life of the parish and Sacramental life. RHYM Choir (grades 6 to 12). The RHYM Choir consists of vocalists (with the possibility of instrumentalists). 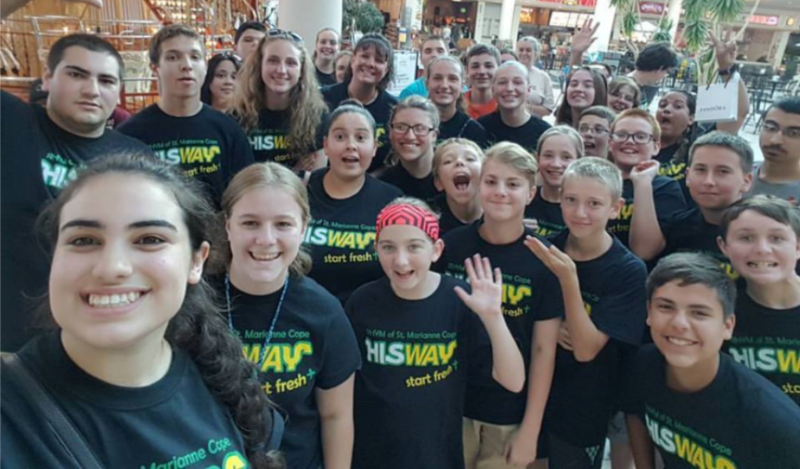 Young people in this group learn about music in prayer and liturgy as they prepare songs and lead music at Masses, prayer services, and youth meetings. Practices are held on one Tuesday per month at 6:30. Participation in the group requires a commitment to scheduled practices, Masses, and prayer services throughout the year. RHYM Music Ensemble (grades 9 to college aged young adults). The RHYM Ensemble encourages young people to use their musical talents to make decisions and be involved in liturgy and prayer in our parish. This group learns about liturgy planning and helps to plan and lead the music for several Masses, prayer services and meetings during the year. Practices are held on Sunday evenings at 6pm. Members complete one year in RHYM Choir prior to becoming a member of the Ensemble and they must be commitment to the scheduled practices, Masses, and prayer services throughout the year. Throughout the year, RHYM-ithians have the opportunity to attend a variety of experiences including Kingdom Bound, NCYC, parish and diocesan retreats. Volunteers who work in any ministry with children and vulnerable elderly people first participate in the Diocese Training for Creating a Safe Environment.